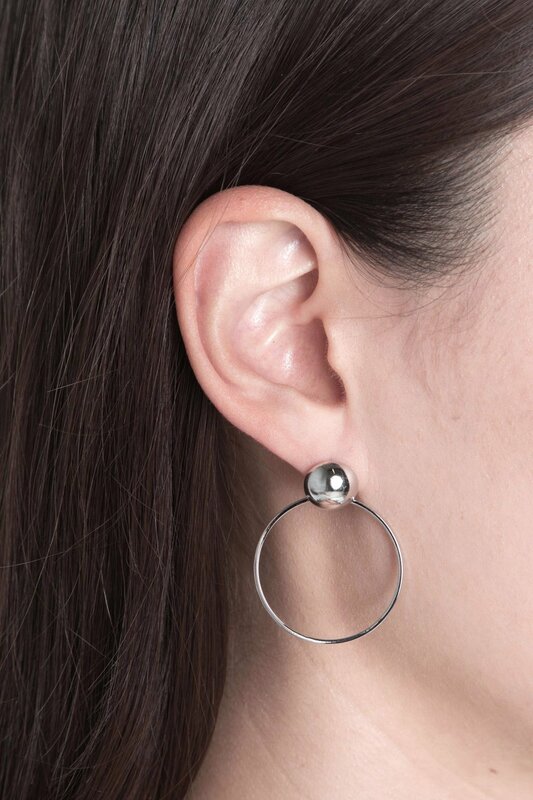 These earrings feature circular studs with hoops attached below. One side features a smaller stud with a bigger hoop, and the other side features a larger stud with a smaller hoop. 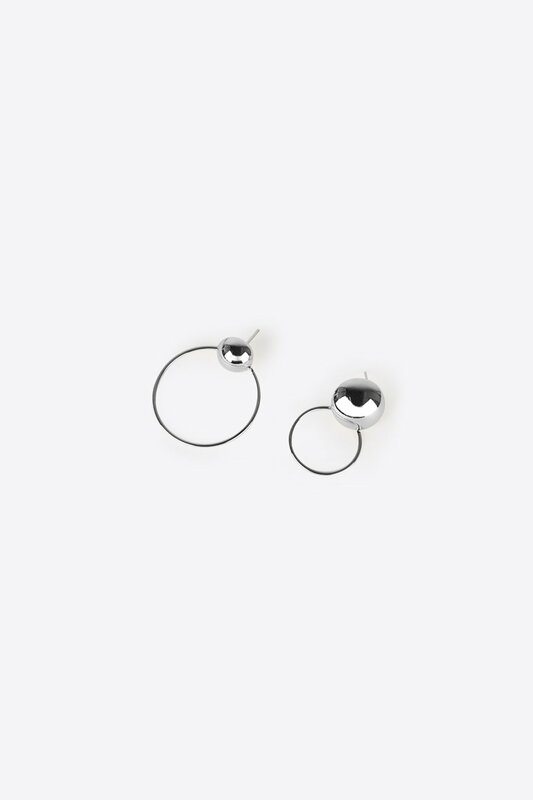 Minimalistic and modern, add a touch of elegance to any outfit with this pair.